$18.95 (save $4.00). Once it sells, it's gone. We do not expect to restock. 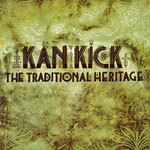 Recorded between 1996 and 2000, ''The Traditional Heritage'' is primarily an instrumental album, with four vocal tracks featuring MED and Blame One (as a member of Mystery's Extinction) among others.